The declaration came when staff at Strathclyde Fire & Rescue were quizzed about their jobs during a detailed four-day independent review. 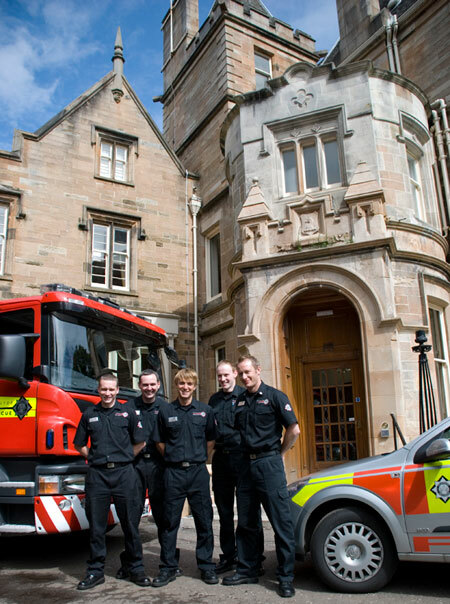 The service, which covers Glasgow and the surrounding area, is Britain�s second largest firefighting force and national bosses brought in the UK�s largest force � London Fire Brigade � to carry out the study. The assessment of Strathclyde�s finest was headed by the brigade�s deputy commissioner Rita Dexter. She and her team examined progress made by SFR under the main categories of ambition, prioritisation, capacity and performance management, as well as achievement and improvement. THE town's fire chief has urged residents - especially school kids - to consider the consequences of setting grass and rubbish fires this summer. Barrhead Fire Station manager, Ian McMeekin is asking people to stop and think seriously about how unnecessary fires can be a strain on the service. 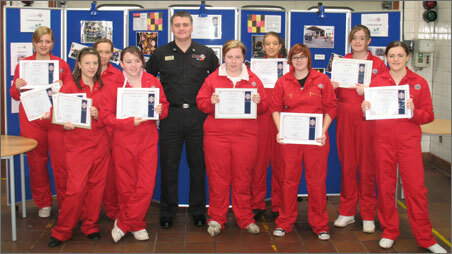 A further ten secondary school pupils drawn from each of East Renfrewshire�s seven high schools have been presented with their Fire Reach certificates at Clarkston Fire Station by Strathclyde Fire & Rescue area commander Craig Cook. They�re the latest youngsters to join a group of 350 pupils who have successfully passed out on the course since it began in 2004. Working and training with fire crews teaches the boys and girls discipline, self-discipline, team work and responsibility and some have gone on after school to join the service. 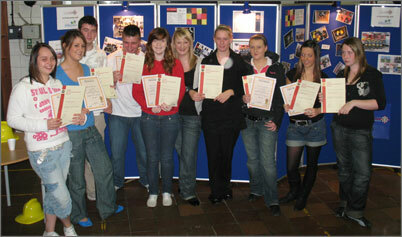 The courses are run jointly by fire and rescue and the council�s community safety, youth work and education service. 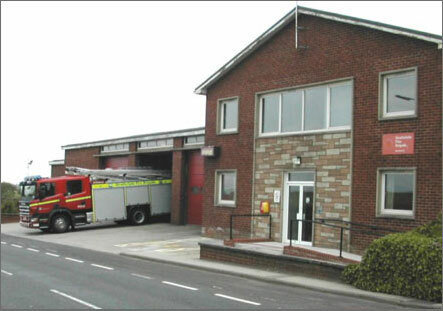 The purpose of Fire Reach is to provide training and development opportunities for young people, principally through Fire & Rescue Service related activities.� Young people will be encouraged to make the most of their physical and mental capabilities to enable them to become more responsible, safer and caring members of their communities. 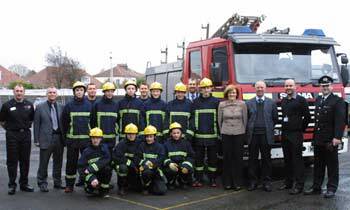 It is anticipated that with their commitment, regular attendance and the completion of all aspects of a range of modules, Fire Reach will raise the young people�s awareness of the role of the Fire & Rescue Service, the local authority and other linked agencies within their community. Ten young people receive their Bronze Youth Achievement Awards at presentation ceremony at Clarkston Community Fire Station as part of their Fire Reach course.